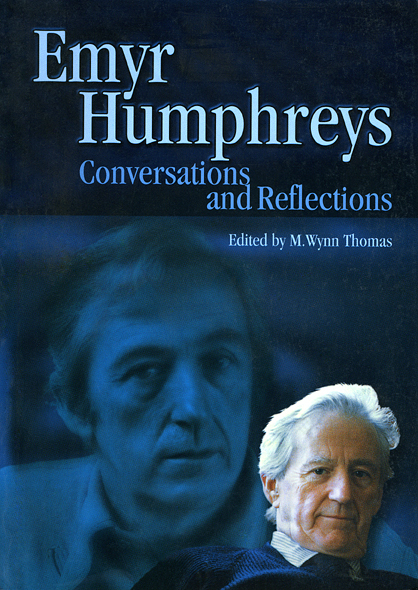 Conversations and Reflections brings together the previously uncollected ‘occasional writings’ of Emyr Humphreys, the major novelist of twentieth-century Wales. It maps the historical and cultural background to the work of a writer who was described by R. S. Thomas as ‘the supreme interpreter of Welsh life in English’. This selection of the most important essays published by Emyr Humphreys over a fifty-year period reveals the commanding range of his interests and confirms his stature as Wales’s leading man of letters. Dealing with themes ranging from sixth-century literature to the twentieth-century media, these essays address the cultural commitments from which Emyr Humphreys’ creative writing takes its bearings, as well as being a major author’s statements on ‘his’ Wales, past and present. The essays are interwoven with a parallel series of discussions, conducted with M. Wynn Thomas, which explore many of the key personal, political and cultural concerns that have recurred throughout Emyr Humphreys’ work. Conversations and Reflections provides a fascinating overview of the work of one of Wales’ most significant creative writers and cultural activists.